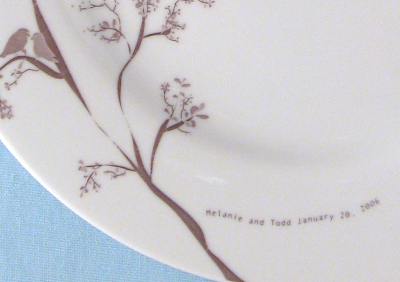 I have been a huge fan of Jessica Rust's lovely personalized dinnerware for a while now. Simple yet enchanting, her passion and creativity embodies her craft. I love the idea that small details can make a big impact in a small space and using this dinnerware to dine or as a home decor accent will surely do just that. I am thrilled to have e-met her and she sweetly agreed to do a little interview with loving. living. small. Enjoy reading about some of Jessica's inspiration and style for Rust Designs. 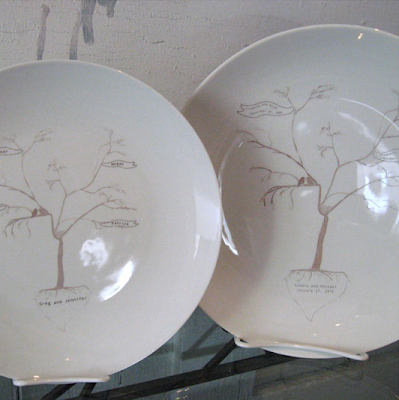 I was turned onto your pretty dinnerware by the personalized collection. I immediately fell in love with your designs. What is the inspiration behind it? Thank you! Long walks with my dog. Gives me a chance to clear my head I don't take a phone so I can really see what's around me. I love nature but am not a nature girl my idea of a nice weekend in the country would be a nice big porch and someone serving wine. I use a lot of what see around me in my work. I will often take photos and go from there. 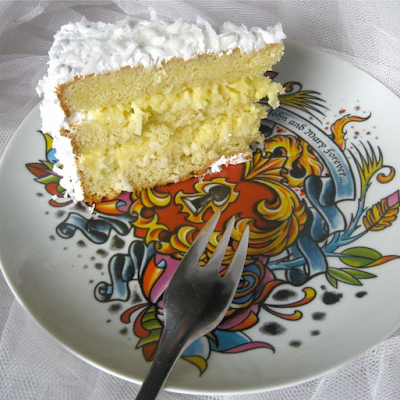 I hope people will use my dinnerware, I'm not a fan of dinnerware on the wall, not that it can't be lovely. My grandmother has the most amazing collection all over her kitchen, but I really designed it to used and incorporated into dinnerware you might already own. 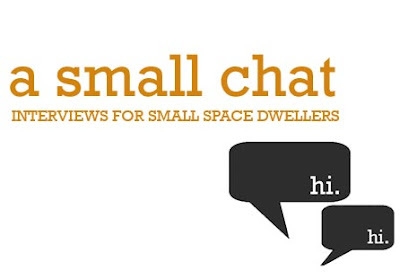 Small space dwellers definitely have to consider the amount of things that can go into any space. How much "dinner ware" do you feel the average couple needs in their kitchen? Hmm I suppose that depends on how much you like to entertain. I would say at a minimum 6 dinner plates, salad/dessert plates and bowls. More of course if you like to have friends over. That way you're not washing dishes all the time. Of course you need mugs I never seem to have enough. I watched your great profile on The Today Show (congrats!) I love your passion and drive. How did it feel when your product "made it"? I've been asked this before and I'm not sure that I've made it, kind of always wanted a porsche perhaps when I can afford one I'll feel I've made it. Tell us about your work studio? Would it be considered a small space and how do you use it? I lived in NY for too long for this to be a small space. It is a wonderful space a fabulous space. The space is a carriage house that we (my husband and I renovated) it's not a finished space but it gets amazing light in the winter, has 16' ceilings. It's a bit hot in the summer with the kilns going, but I love it. The first floor of my studio is where production is done. The second floor is my office and work table where I hash out my designs. I love the colorful designs on your newest collection, Tattoo. What are your fave color tips in a space? Thank you. Well, first and foremost if you could see my house you would know I LOVE color. I use it a lot. Biggest tip; to not be afraid of deep or dark colors they can actually make your space feel larger. I hate hearing when people say they can't use this really rich color because it will make the space feel too small. It is often best to paint a small space intensely. OH, and don't be afraid to use color, you can always paint it over if you don't like it. Take a risk it's what life is about. Thanks, Jessica! 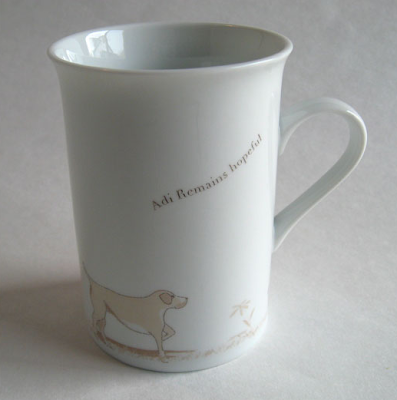 Click here to enjoy the Rust Designs site and buy up some of her fab wares. The family tree collection is probably my favorite. Tattoo collection is interesting, but can be a bit too much.